Go to the Apple logo (upper left corner) and select 'System Preferences' from the pull down menu. A 'Window' filled with icons will appear. 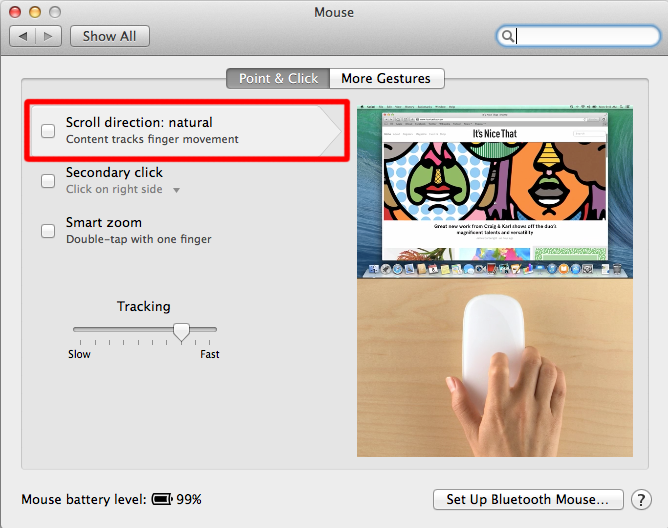 This thé feature that tells your Mac how to behave. It's important you always know where to find it! 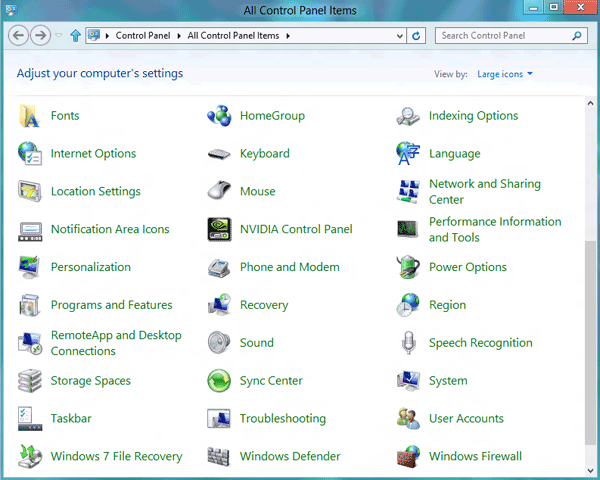 You can compare System Preferences to the Control Panel in Windows. First, choose 'Mouse' and adjust the speed of your little rodent as you see fit. It does't run that fast on default. This means your right mouse button. 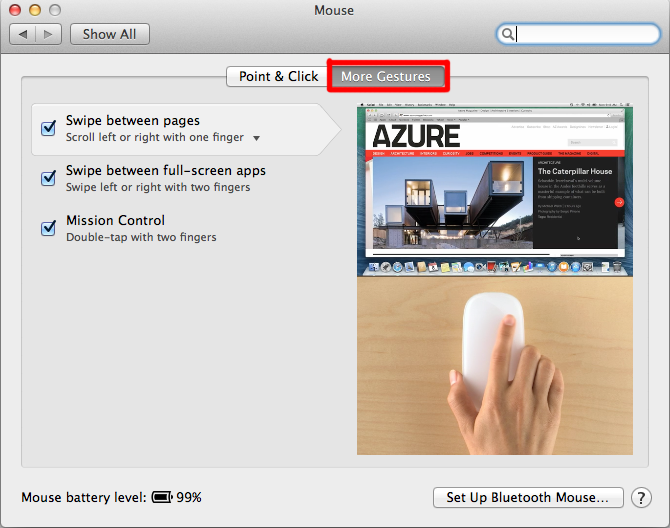 The Mighty Mouse is a multi-buttoned, multi-touch mouse, but on default it behaves like a one button mouse. Apple's original Mighty Mouse is a multi buttoned mouse, but on default only one button works. No worries, you can change it here. Mouses of different manufacturers can be used without a problem, even together with the original Apple mouse. 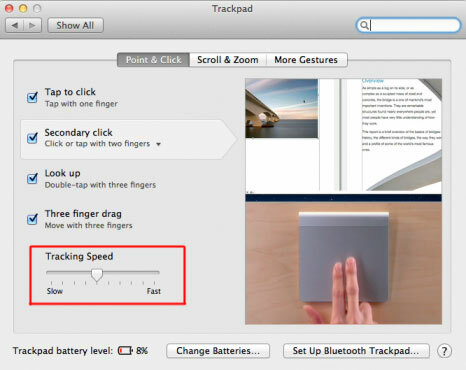 Owners of a Mac-to-go or Magic Trackpad can also configure their Trackpad here. 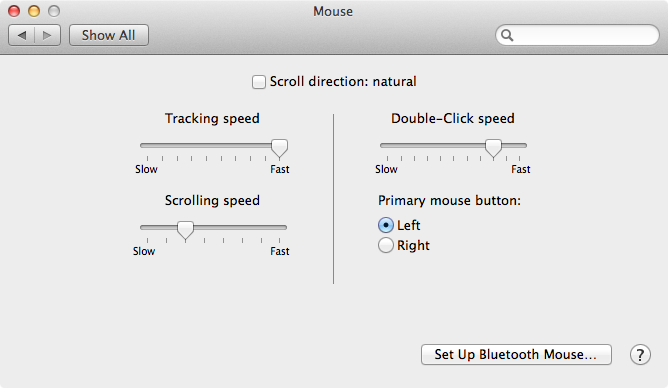 At 'Tracking Speed' you can adjust the speed of your mouse. Again, take a good look at the movies how you have to move your fingers and how much fingers you have to use. 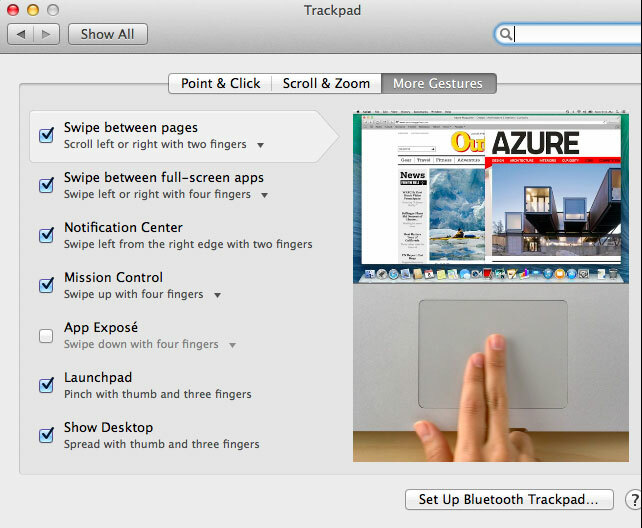 MacBooks and Trackpads only have one button, so it seems at first sight: the Trackpad IS the button. To activate the right-click option: sign 'Secondary click: clicking with two fingers'. This means you'll be using two fingers to click, to get a right-click. 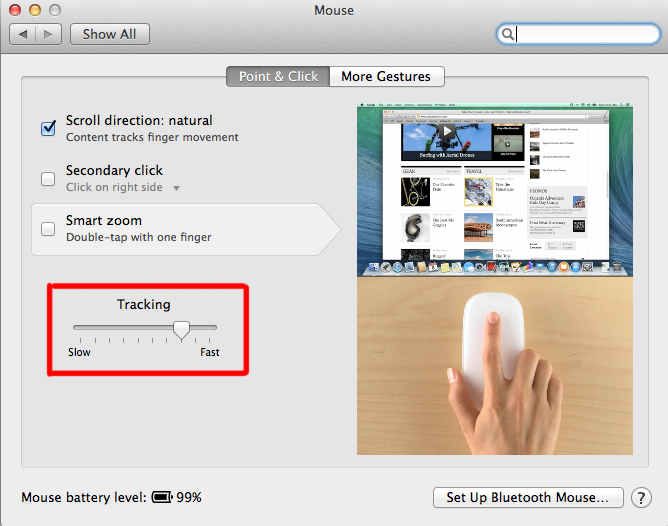 Note: Again, take a good look at the little movies on the right to see what your Trackpad can do. Satisfied? 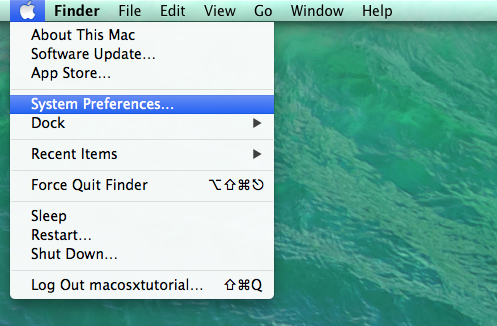 Now, click 'Show All' to go back to System Preferences overview. Next, choose 'Dock' (the transparent row of icons at the lower midst of your screen). 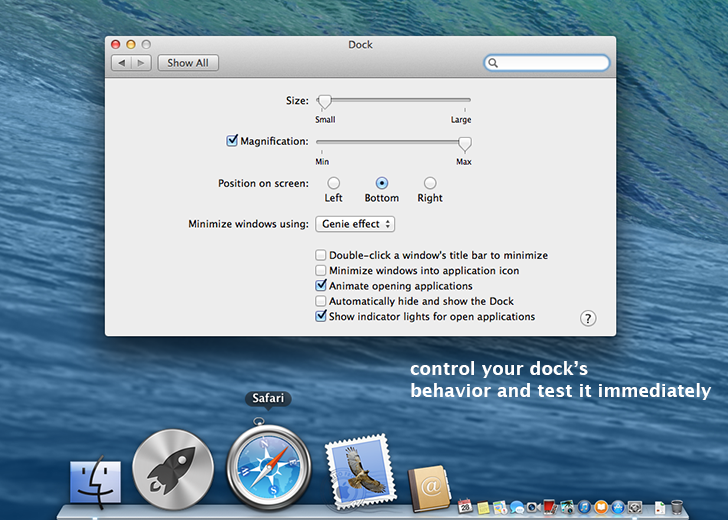 The Dock is a fast way to access your programs and files. You only need to click once on an icon to start the program or open the file. Now choose the Sound preference panel and choose your favorite error effect at 'Sound Effects'. NOTE: 'Sosumi' was a board the first Mac ever (dog house mode) back in 1984. A true classic! 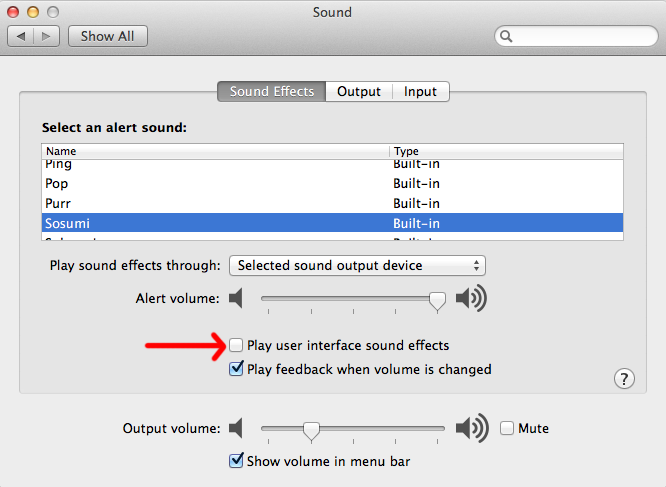 In case you don't like the User interface sound effects, you can turn them off at 'Play user interface sound effects'. No bleeps and other noises during file copying and stuff. Choose here what kind of picture you'd like to show on your desktop. At Screen Saver you choose the movie that will run when you're not using your Mac for a while. However, letting your screen sleep is much more energy efficient. 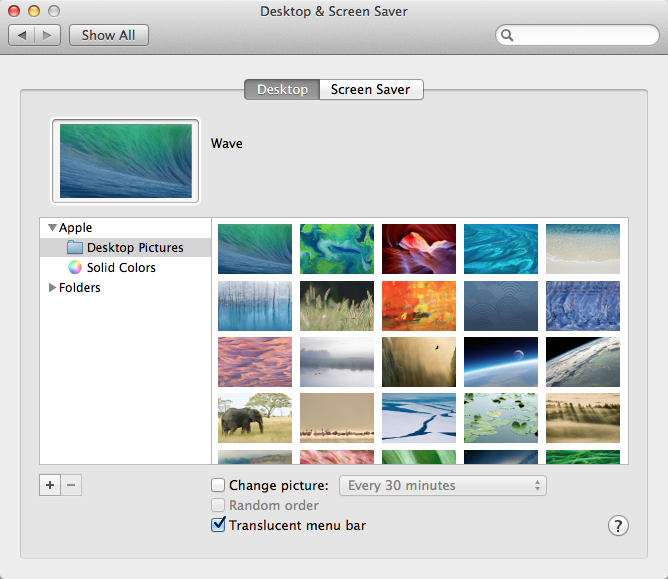 Note: For example: a 27" iMac (2011) screen asleep uses 42,5 Watt versus the Screen Saver: 104 Watt. On the Mac, all programs open in a Window. At the upper left of this window, you'll find the 'traffic light’. Note: in case you are colorblind, red is on the left and green is on the right. To close the window of a program - in this case System Preferences - you simply use the red button. Push the Q key and the Command key together. Note: Nearly anything can be done with both mouse or keyboard. The more experienced you'll become, the more 'shortcuts' you'll use. With Shortcuts, you can work faster and more ergonomic. There are shortcuts that exist of two, three or even four keys. More of this later. We've seen the System Preferences that determine the 'look and feel' of your Mac. In the upcoming chapters you'll meet more of them. 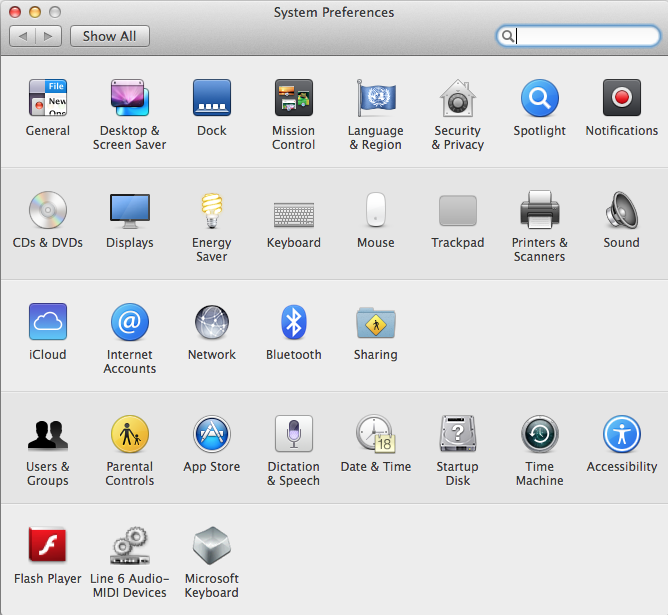 To get a complete overview of all the System Preferences, visit All System Preferences chapter . However, absolute beginners are advised to skip this at first.